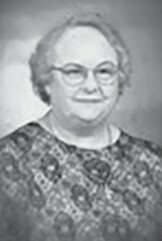 LOIS JEAN DOTY ADAMS, 80, Cleveland, died Nov. 2, 2018. Predeceasing her were husband Billy Joe Adams, parents Troy Wilson and Dimple Beatrice Doty, daughter Sue Ellen Adams, brother John Henry Doty, sister Travis Ann Sherbet. Surviving are daughter Tammy (Terry) Van Hooser; granddaughters Harper and Gracie Van Hooser; three siblings. Funeral services were held Nov. 4, at 2 p.m., at Blount County Cleveland Funeral Home Chapel with burial at Nectar Cemetery.